Santa Barbara, Montecito and all of our surrounding areas attract hundreds of thousands of visitors each and every year. Many of out visitors comes specifically for the climate and vistas. While we are lucky to have endless view opportunities each and every day as we simply wind throughout our town, many locals enjoy some of the best views from their own personal homes. 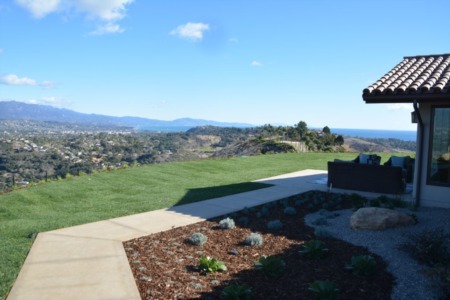 So where are the best view homes located here in Santa Barbara? Here is a list of some of the more prominent view neighborhoods in our town. This goes without saying. If you are one of the few fortunate to live truly on the ocean front here in Santa Barbara, you can enjoy the sunrise and sunset skies over The Pacific Ocean and out towards the Channel Islands. Lucky you!! The Mesa is an extremely desirable neighborhood and has often been voted the “Best Neighborhood” in a local paper’s poll. Residents of The Mesa cherish their accessibility to the beach and to two of Santa Barbara’s most wonderful open spaces. Shoreline Park, a magnificent 15-acre bluff-top strip of lawn, bike and pedestrian trails, picnic tables and jungle gyms, is regarded by many as the finest park in Santa Barbara. At the southwestern tip of The Mesa, the Douglas Family Preserve (known to locals as the “Wilcox property”) is a stunning 70-acre recreation area left in its natural state, conserved as a peaceful retreat for all to enjoy forever. In addition to the ocean proximity, many of the homes have at minimum peak views of the ocean all the way to true panoramic Santa Barbara vistas. Bridging the two mile span which separates Mission and Sycamore Canyons, the sylvan uplift which the padres knew as the “mission ridge” has for the past 65 years been known as “The Riviera” due to its resemblance to slopes along the Mediterranean coasts of France and Italy. Residents lucky enough to live on this ridge attach premium value to their homes because of their unsurpassed views of the city, mountains, sea and islands. Located on the sea-cliff just outside the boundaries of Hope Ranch, Campanil Hill and Yankee Farm is a gorgeous private feeling neighborhood filled with larger homes and estates. 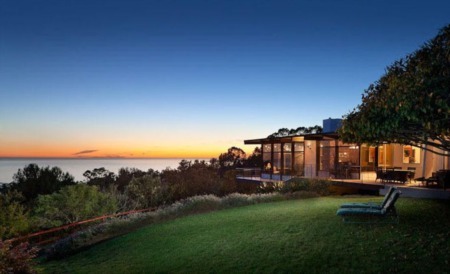 Most of these homes have expansive views of the ocean and Channel Islands. Cielito is a large area tucked in off the back side of The Riviera located at the base of The Santa Barbara Foothills. Residents here have easy access to the local Santa Ynez mountains, with all the numerous biking and hiking trails. Local popular spots are Skofield Park, Rattlesnake Canyon, Tunnel Canyon and Parma Park. The overall area is rather rolling with many homes sitting on little knoll tops with varied views. Most all the homes in Cielito have setting and gorgeous mountain views, with some having solid ocean views both towards sunrise and/or sunset. Additionally, there are many little pockets, knoll tops and nooks throughout our town that afford homeowners wonderful views. Feel free to be in touch if you have any questions or needs for view style homes in Santa Barbara.